Sports PRSS is the ultimate sports news network, delivering the very best content from across the web, curated by sports fans, for sports fans. We’re on the lookout for fans of each sport and team who want to work with us and license our platform in order to run the ultimate news site for their community. 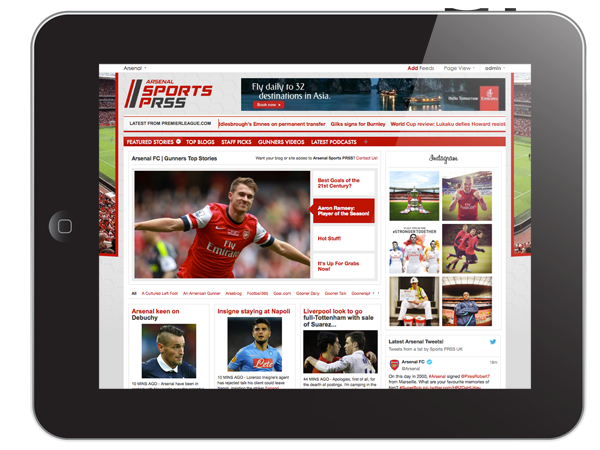 Interested in running the site for your favourite sport or team? Get in touch! To find out more about how it all works, click here.